ConvergeHub WordPress integration is a plugin for capturing leads from web form page/post and capture leads to the CRM directly from Contact Form 7 WordPress plug-in. 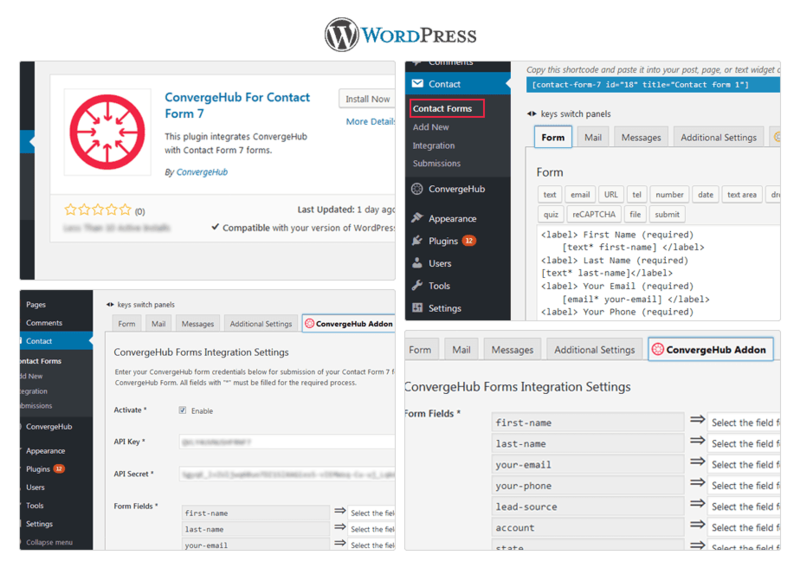 ConvergeHub WordPress integration plug-in for Contact Form 7, which is widely used to create details capture Forms or Lead Capture Forms. 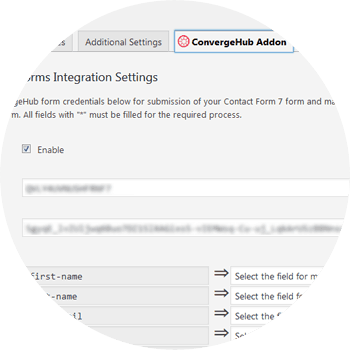 ConvergeHub WordPress plug-in enables the created Lead Capture Form of Contact Form 7, to integrate with ConvergeHub CRM, i.e. 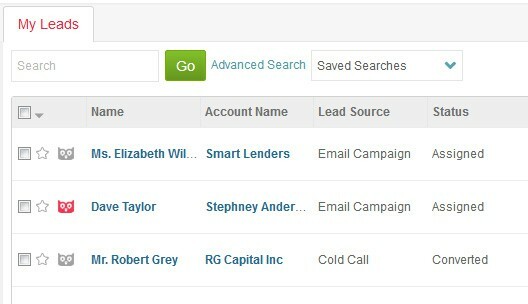 any details captured in the Contact Form 7 will directly get filled as a new lead in the CRM. It helps to generate a Lead using the website Lead capture Form, which in turn converts your traffic/visitors as potential leads to ConvergeHub CRM. Using this plug-in user of ConvergeHub does not have to write any code or do any manual work. It is an easy to set up plug-in with a very user-friendly setup process. It gives the user ability to map fields of Contact Form 7 to ConvergeHub CRM. 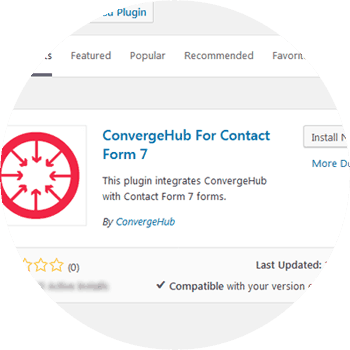 If you need to convert WordPress Contact Form 7 details capture to ConvergeHub CRM Leads, you will need to integrate your Contact Form 7 seamlessly with ConvergeHub CRM. Contact Form 7 integration lets you send form data to ConvergeHub. Knowing the forms that convert better will help your inbound marketing team to fine-tune the Lead Capture Forms for better capture of the prospects and leads. 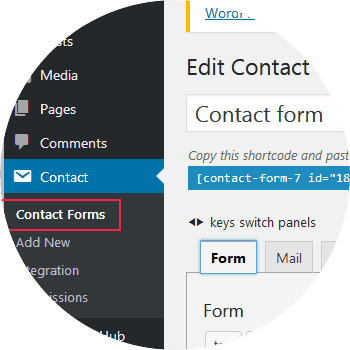 Map the fields between the Contact Form 7 and ConvergeHub for creating new leads from your website Lead Capture form and have the complete ability to send data from the WordPress Contact Form 7 to the CRM. In your WordPress website admin panel, navigate to the Plug-ins where you can quickly search ConvergeHub and then install the plug-in. 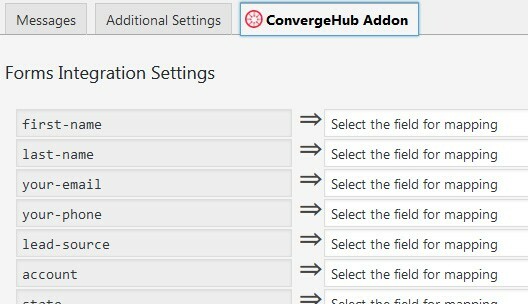 You can convert your form submission into lead by updating your existing form with the settings of ConvergeHub add-on. In the ConvergeHub add-on settings in your existing form of Contact Form 7, input the API key, and API secret, this can be found in your CRM account. Thereafter, map the fields of your Contact Form 7 Lead Capture Form, with respect to the fields available in your ConvergeHub account.